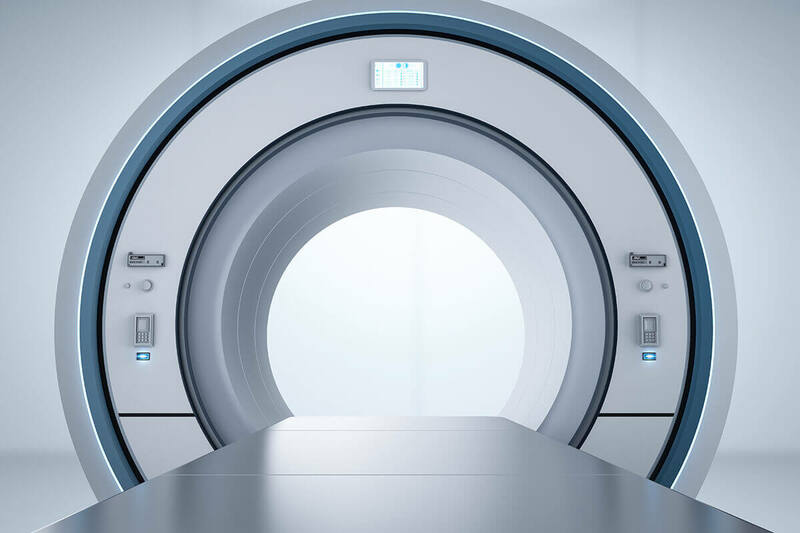 When your doctor prescribes a CT scan, you might not give it a second thought, or recognize the benefit of such advanced technology regarding your health. Over the past four decades, CT scans have evolved dramatically. Scanning offers precise multi-dimensional images that help health-care professionals diagnose and treat a wide variety of medical conditions high speed and accuracy. Computed Axial Tomography (CAT) or Computed Tomography (CT) is the same type of image scanning. The highly sophisticated software is used to analyze the digital images produced by the scanner. This allows radiologists to slice each picture, rotate it, examine it straight on or zoom in on a specific detail. Axial refers to cross sections of the anatomical plane. A CT scan displays multiple sections through the body generated through tomography. The result is several highly detailed images in seconds. CT scans are more sophisticated x-rays. If you look at an x-ray machine as a magnifying glass, then a CT scanner is a telescope. Traditional x-rays display flat 2D images of all body structures overlapping on a single plane. CT scans are more versatile because you can arrange the machine around the patient to rotate and capture images at different angles in many sections. When you get a CT scan, you are horizontal on a table, while the x-ray machine travels around you rotating up to 360 degrees. More information than ever can be generated about targeted areas of the body. In 1970s England, CT scans were first invented and used to generate images of the brain. Prior to this, there was no way to view the soft tissues of the body or internal structures like blood, infection or tumors. Today, this advanced imaging technology is critical for diagnosing and evaluating headaches or trauma, cancer, stroke, blood clots, appendicitis, pneumonia, complex fractures and much more. Mobile CT scanners are also used in ambulances for patients who may have suffered a stroke. In these cases, there is a vital need for immediate images. The first CT scan equipment took minutes to generate a single cross-section of the body. Now, we can achieve hundreds of images of the entire body in seconds.